Abu Dhabi, 21 February 2018 – After the first two exciting rounds of the Abu Dhabi Tour Challenge in Jebel Hafeet (2nd February) and Yas Marina Circuit (11th February), yesterday, Tuesday 20th February, saw the final “Knock Out!” stage. 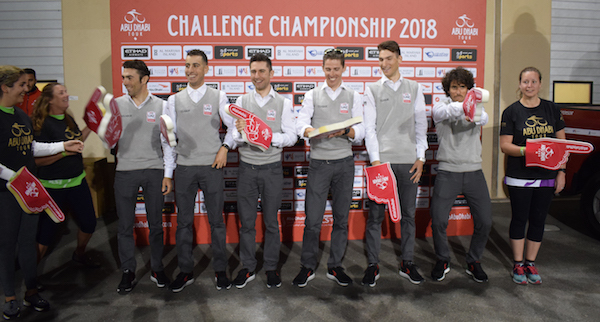 During the challenge, some of the professional riders of the fourth Abu Dhabi Tour attended the event for a very special meet and greet with the fans. Competitors faced the challenge of a precise time limit within which to complete the first lap, with that target time being reduced for each subsequent lap. Riders who could not complete the lap within the time limit were eliminated after each lap. 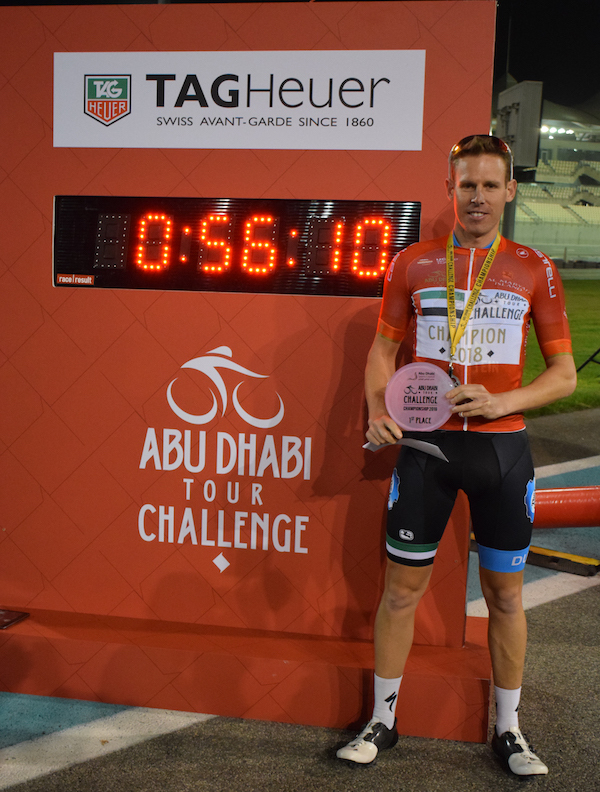 The 2018 Abu Dhabi Tour Challenge’s format – launched via a social media video by Mark Cavendish, Abu Dhabi Tour’s Ambassador, and supported by Tag Heuer, Abu Dhabi Tour official timekeeper – comprised three stages across three different competitions. The special award ceremony followed last night’s final competitive event at the famous Yas Marina Circuit, after the first two rounds in Jebel Hafeet (2nd February) and Yas Marina Circuit (11th February). From the official online pressroom the media can download high resolution pictures of the last editions of the race. In order to download the pictures, just go to http://pressroom.rcssport.it/(username: press / password: press), select “Scarica contenuti/Download contents” on the top right, choose “2015” or “2016” or “2017” from the menu on the left, then “Ciclismo”, and then “Abu Dhabi Tour”. The photos are free of charge for editorial use, as long as both the Abu Dhabi Tour and the photographer’s name is quoted.